Top 6 Reasons to Use an Explainer Video in Your Business | GUI Tricks - In Touch With Tomorrow! Top 6 Reasons to Use an Explainer Video in Your Business - GUI Tricks - In Touch With Tomorrow! And here is why it matters. Usually, it’s not easy for a business to express what it does to customers in a language that most customers can understand, let alone relate to. But by combining audio and video, an animated video is able to grab the customer’s attention while delivering a brand’s value proposition in a clear and concise manner. Everyone loves a good story. And if you can package your company’s message in an exciting audiovisual story that resonates with the viewer, it not only gets easier to communicate your brand message but also does so in a way that prompts the viewer to take action. An explainer video can, therefore, help you avoid the common snares that entrap many websites. In particular, it increases retention rates, and all the positive effects of this are likely to spill over on your website. For instance, the bounce rate is significantly reduced and conversion rates spike. This is why the importance of video marketing cannot be emphasized enough. The video is where the wind is currently blowing and your business would be well served to hop on the bandwagon. We know, going with the wave is not a favorite sport of ours too, but in this particular instance, it’s either you are in or out. So Why Video Marketing Is Important? The reason the video is the hot ticket in town at the moment is that the world is getting “busier” by the day. Or rather, feeling busier. Everyone and their neighbor seem to be moaning about the lack of enough hours in the day what with packed schedules and all. What this has led to is a shrinkage in attention spans. We no longer have time for things that require our undivided attention for minutes on end, instead preferring to juggle between tasks and jump from one message to another. Multitasking wise kids of the modern world, everyone has become. Thus, when it comes to content marketing, what better way to override this shortening attention span than video? An animated video company will help you crack that conversion conundrum that has been eluding you. According to Wyzowl, 81% of businesses are using video content marketing, up from 63% in 2017. Of those, 85% of them consider it a vital part of their marketing strategy. Short, punchy explainer videos are the way to go right now. And not because everyone is doing it. No, they present a realistic chance of giving your marketing efforts a well-needed boost. Here are our top 6 reasons you should be thinking of enlisting the services of an explainer video company like Promo Video Lab. Naturally, a video is more likely to spark a person’s interest than text because cognitively, humans tend to avoid tasks that are mentally tasking. So, given the option between watching an explainer video and reading through a chunk of text about your brand or products, most people will opt for video over text. And yes, the chance of that doubles in this age of short attention spans. For this reason, the ability of a video to spark a customer’s curiosity is likely to reduce chances of bounce rate as customers are likely to linger longer on a page. As well, video appeals more to mobile users, a platform that has already overtaken desktop in terms of e-commerce purchases. According to Google, mobile users are also likely to feel a deeper sense of connection with brands that show video ads or content compared to desktop and TV viewers. The benefits of video would not mean much if they do not reflect on the bottom line. But explainer videos are sure to keep your accounts division happy as these videos have the potential to make you serious money. Studies have shown that having an explainer video on your landing page can boost your conversion by a whopping 80%. There is also the element of trust, as illustrated in the next point. Another reason you should seek the services of an explainer video production company is trust. You see, before e-commerce took hold, one of the biggest hurdles it faced was the issue of trust. People were reluctant to send their money to a business they had no face contact with. In fact, this still remains the case for any company that doesn’t do a good job of convincing its customers that it can be trusted with their financial information. But an explainer video makes it possible for customers to put a face to your business, therefore creating that much needed virtual connection. Not only that, there are instances when video allows you to convey the message better. For example, when selling a car, potential buyers can only learn so much through a brochure, even one that includes images. With a video, though, you can illustrate important details like the car’s agility and pick-up speed more effectively. What’s more, as you go about establishing trust with customers using videos, this doubles up as a chance for you to showcase your brand personality through humor, professionalism, your industry expertise or whatever other personality is synonymous with your brand. Another reason explainer videos need to be part of your business promotion toolkit is their ability to boost search rankings on Google. The number of time users spends on a page is one of the ranking factors in Google’s algorithm. And as we highlighted earlier, videos have the ability to increase user engagement significantly. They increase the time a user spends on a page which in turn increases that page’s ranking on search. Everyone could do with a boost in SEO rankings! Explainer videos are not for exclusive use on websites only. 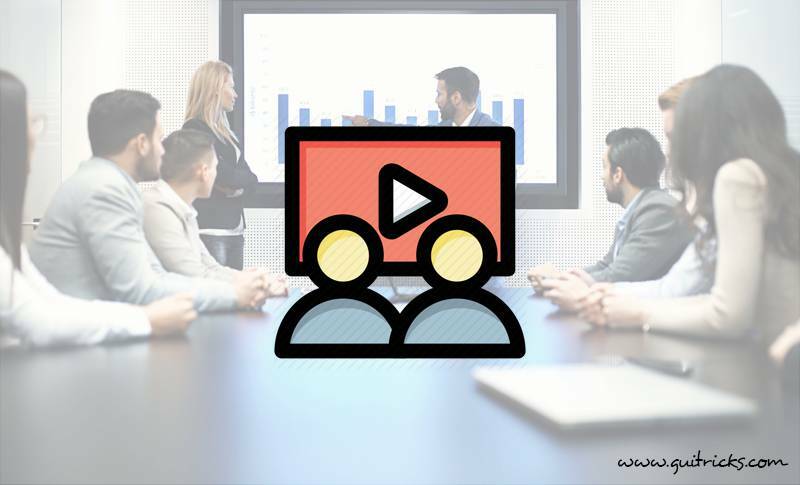 At a time when social media is responsible for a good chunk of website traffic, it makes sense to have a video that can be easily shared on the various platforms. Whether it’s through YouTube, Vimeo or the slew of social networks we have at our disposal, don’t underestimate the power of video to drive business to your website. Catchy videos that are easily shareable have the potential to go viral. And when they do, they can boost your brand visibility even among potential customers who could not otherwise have happened across your business. One of the primary concerns for every business irrespective of the industry is the ability of an investment to bear returns. While explainer video production services may seem like an expensive investment at first, video content, especially developed professionally, can easily pay for itself within no time. Matter of fact, more than 50% of businesses who have ventured into video content marketing acknowledge it’s the content with the greatest ROI. A consumer trends report by Hubspot also shows 54% of consumers want to see video content from brands, as opposed to emails/newsletters (46%), social images (41%) and even social videos (34%). This goes to show the increasing importance of this medium. The Internet long but leveled up the playing field allowing small enterprises to compete with big business. Explainer videos are just another avenue SMEs can exploit to boost their online brand presence, so if you haven’t explored it, it’s time to stop ignoring the importance of video marketing and take advantage of it. This is especially so if you have been pouring enormous amounts of time and money into content marketing but issues like website bounce rate, low conversion and poor search rankings remain a headache. An animated video production team can help you unleash the power of video, so now might be a good time to enlist the services of one.